Sydney is known for nightlife, trails, beaches, parks, and museums. 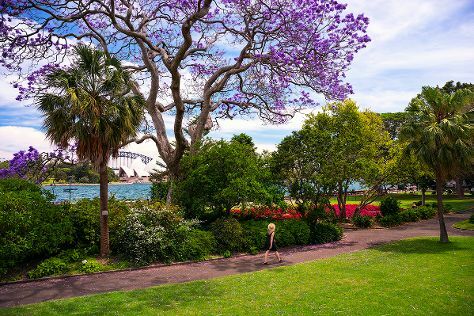 Your plan includes some of its best attractions: admire the natural beauty at The Royal Botanic Garden, wander the streets of Darling Harbour, explore the world behind art at Art Gallery of New South Wales, and see a show at Sydney Opera House. To see traveler tips, where to stay, photos, and more tourist information, go to the Sydney attractions planner . If you are flying in from India, the closest major airport is Sydney Kingsford Smith International Airport. In December in Sydney, expect temperatures between 32°C during the day and 21°C at night. Wrap up your sightseeing by early afternoon on the 31st (Mon) to allow enough time to travel back home.